As we approach the holiday season, I began thinking about the relationship between this time of year – in particular, Christmas Day – and sport/recreation traditions. Unlike my post a few weeks back which looked at watching sports – either as a spectator or on television – as a holiday tradition, this time I am wondering about playing sports on Christmas Day and whether these have become important traditions for us. 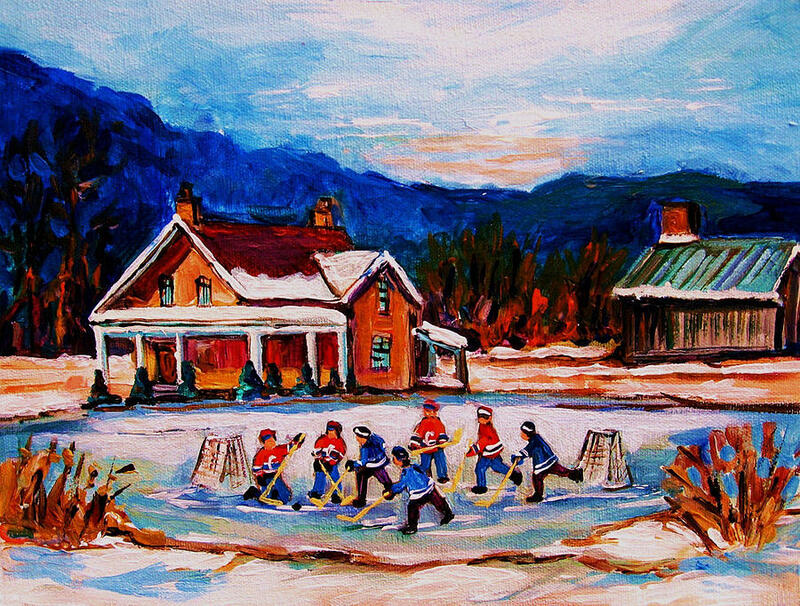 Growing up in Canada, normally part our Christmas Day tradition as kids was playing hockey – either at a local outdoor rink or, often times, just road hockey out front of the house. It wasn’t a particularly conscious tradition – this wasn’t watching a favourite Christmas movie every year or always having a particular meal on Christmas night – and, I suspect, these games were probably “strongly encouraged” by our weary parents looking for a bit of quiet. Still, I remember them quite vividly – and, given that many other Canadian friends and family had similar hockey-related traditions on Christmas Day, I imagine that there were broader cultural connotations. I also seem to recall that these Christmas Day hockey was a bit more egalitarian – that many more levels of ability were tolerated than at other times of year – though, of course, this may be nostalgia merging with memory. Since moving to the South and, often, not having much family around on Christmas, I always take one of my dogs for a special Christmas walk through the Clemson University campus. In some ways, these walks were echoes of the Christmas walks I would take in Edmonton in my 20s and 30s (sans dog back then), where I would enjoy the quiet, the lack of cars on the streets, and the peace. Although I know these aren’t sport or necessarily recreation, at least in a structured sense, I guess they fall into something of an “active” Christmas tradition. As my son gets older – he is starting to understand Christmas a little more each year – I wonder what Christmas traditions we might develop and whether they will reflect something our cultural environment. In any event, I guess I’m wondering if you have a Christmas sport/recreation tradition, and whether you see it having any larger cultural meanings? By Gregory Ramshaw in Uncategorized on December 22, 2013 .